This week’s Gallery Prompt at from the lovely Tara over at Sticky Fingers is Relax. I’ve been finding it really difficult to relax recently, I’m a bit like a tightly wound spring. Normally I relax and read a good book with a little glass of wine on the odd occasion or watch a good tv show, but these days I’m not quite immersed into it. I’ve gotten so much going through my mind. 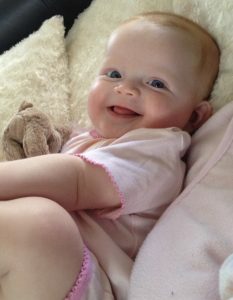 My baby girl seems to have it sussed, she is so relaxed all the time, contented and happy. Nothing seems to phase her, long may it continue. I think I need to take a leaf out of her book and relax. Chill out in a buggy or have a wee roll about on a mat. I might look a bit funny but she seems to enjoy it.